Take the World Cup to another level this summer with Daily Fantasy Contests from Starting 11. 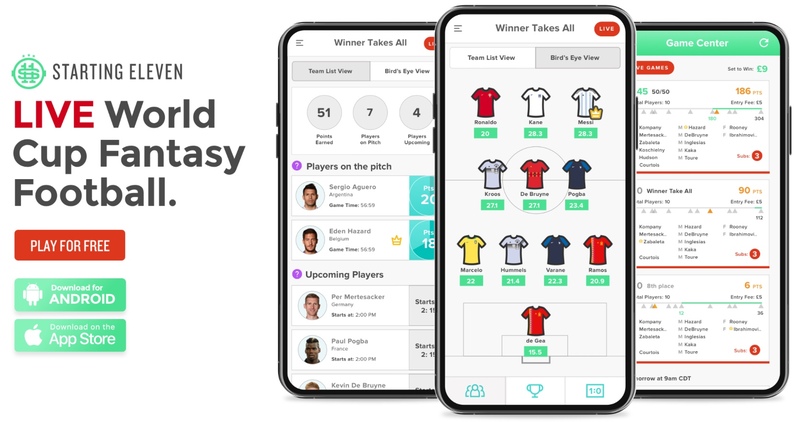 With cash and free games for World Cup Daily Fantasy, the Starting 11 app will bring the tournament to life, as you compete in their contests. 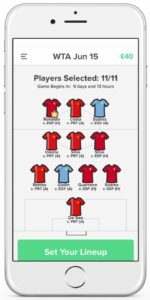 Starting 11 is a World Cup Daily Fantasy Football app, which has grown in popularity amongst the community this season. You can select a team without any budget constraints and battle against others. You can challenge the community by downloading the FREE App on Android or iOS and create a team. There’s plenty of contests available during the World Cup this summer, check out their contests on any day where there are two or more matches. There are three different types of contest: 1 vs 1, Winner Takes All and 50/50. 1 vs 1 is a contest against one other player in a head to head challenge. The user with the most points after all the matches are played wins. You can create your own contests here and select the prize pool yourself. Winner Takes All contests are already available to join and normally have groups of 4 or 10 entrants. With a fixed entry fee, the winner grabs the entire prize pool: serious cash and bragging rights can be gained here! 50/50 contests are structured similarly to Winner Takes All games. If you’re learning the game, this is a simple opener, where the top 50% of players take the prize pool. 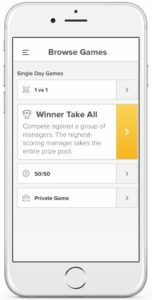 Public games are already available, but users can set up their own private game and select their own prize pot, to play against a specific rival. There are a number of formations available, which can be utilised when selecting your squad. Just replace a player in one position with a player in another position to alter. Substitutions can be made when matches are in play: if one of your players is substituted or goes off injured, you can replace them in your lineup with another player who’s involved in a game at the same time. Take care when selecting your captain, this player will earn double points for your team. This is where the biggest gains can be made over your rivals and differentials could be intriguing options. There are some differences in the scoring system to Fantasy Premier League and McDonald’s World Cup Fantasy games. 2 points are awarded for a Shot on Target, 0.5 points are added for any shot and 1 point is awarded for a foul drawn. Those players who like to be a nuisance for defences and take plenty of shots, despite conversion rate, can do well in this format. Defensive players are awarded for their contributions, including deep-lying midfielders who are normally avoided in fantasy games. Each tackle won and pass interception gains 1 point, with an aerial duel won gaining 0.5 points. Goalkeepers achieve 7 points for a clean sheet, but 2 points for each save made. In this format, those keepers in the thick of the action, stopping numerous shots, could beat a clean sheet keeper for points.